Graded EX 5 by PSA. 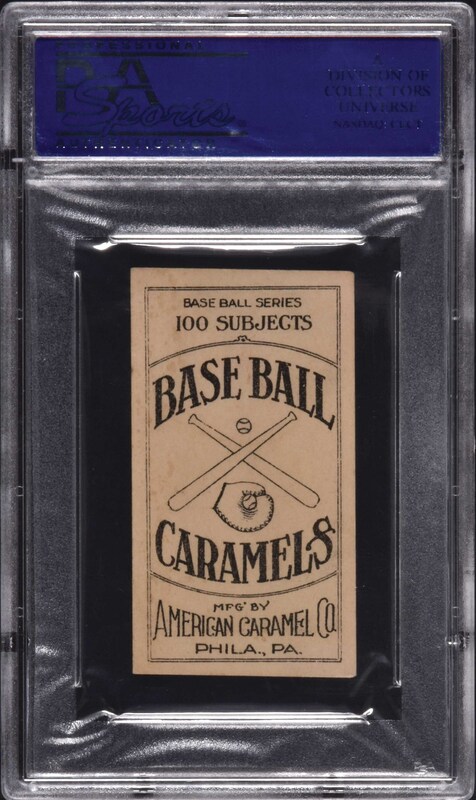 Superb example of star player Hal Chase from the popular E90-1 American Caramel series. Bright, crisp, and clean, with a bold red background, perfect registration, and light wear on the corners. Outstanding centering with a natural diamond cut along the top and bottom edges. Clean reverse. 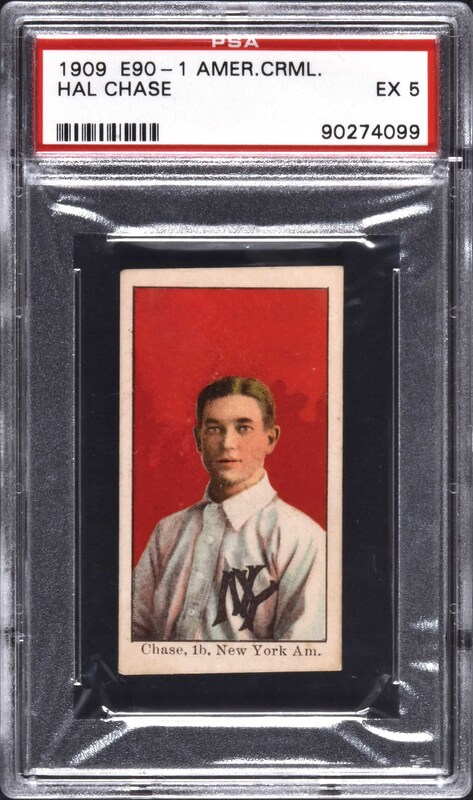 This is a very attractive high-grade example of Hal Chase, one of the key players from the most popular caramel-card set of the era. Reserve $200. Estimate (open).